Robin graduated from Loyola University’s Dental School hygiene program in 1985 and obtained her Bachelor of Science degree from Loyola University in 1986. She has had the pleasure of working for this practice since 2007. She has practiced dental hygiene for 25 years. During those 25 years, She became a wife and a mother. Their teen children keep her and her husband very busy. When time allows, she enjoys exercising, cooking, golfing, time with friends and family, and sunny days. Anna attended Iowa State University in Ames, IA for two years prior to entering the dental hygiene program at the University of Nebraska Medical Center School of Dentistry. She graduated with a bachelor of science in dental hygiene. She has been with the practice since 1998 and enjoys working in an office that provides such great dentistry within a fun family atmosphere. She enjoys making people laugh and dispelling the myth of the dental office being a scary place. Away from the office, she enjoys time with her husband, Matt, her son, Bode, and Boxer dog. She loves travel, wine, cooking, and running, not necessarily in that order. Amy attended Eastern Illinois University, where she received a Bachelor of Science degree. She continued to Lake Land College, where she received her dental hygiene degree in 2004. She joined the practice in 2004, shortly after graduating and has found not only a place to work, but a real family amongst her coworkers. She enjoys getting to know her patients and developing relationships with them. She prides herself on educating her patients on proper oral hygiene and helping them achieve optimal oral health, along with a great smile. In her free time, Amy enjoys spending time with her husband, Pete, son, Henry, and quadruplets, Ava, Kaitlyn, Maggie, and Finn. She graduated in 1978 with an A.S in Dental Hygiene from Montgomery County Community College in Blue Bell, PA. She has lived in Naperville since 1985 and worked at the practice since 2001. She has gone on two mission trips, one to Haiti in 2003 and one to Honduras in 2005. She loves to travel, photography, and Disney World. Her husband, Bill and her have 4 grown children. On Fridays, she also enjoys heading to Front Street Cantina. One of our newest hygienists! 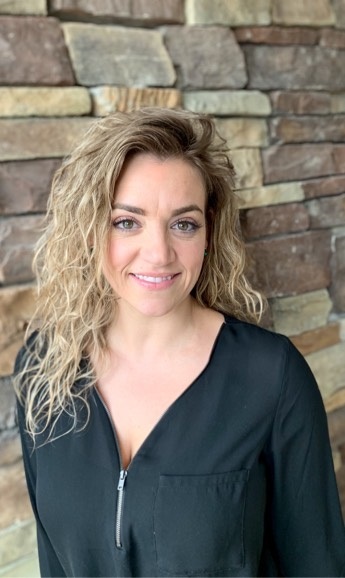 Jillian is originally from the Warrenville area, and is now living in Aurora with her two children Austin (10 years old) and Lilyana (8 years old). Jillian received her associates degree in dental hygiene at the College of DuPage, and when she isn't seeing patients and saving smiles, Jillian is a cook, makeup artist, seamstress, golfer, and a whole lot more!